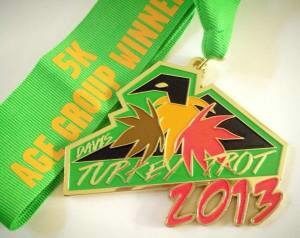 WAY TO GO DAVIS TURKEY TROTTERS!! The Yolo Food Bank’s mission is to end hunger and malnutrition in Yolo County. They provide food and other resources to approximately 52,000 Yolo County individuals each month who are food insecure. Your participation in the upcoming Davis Turkey Trot will help this critical local non-profit help families this winter. All races start at the corner of 6th and C Street. Line up by anticipated pace per mile. Strollers must start in the back. *Times for kids fun runs are approximate. Based on attendance we may break some distances into multiple heats. Be ready to run at 11:00! 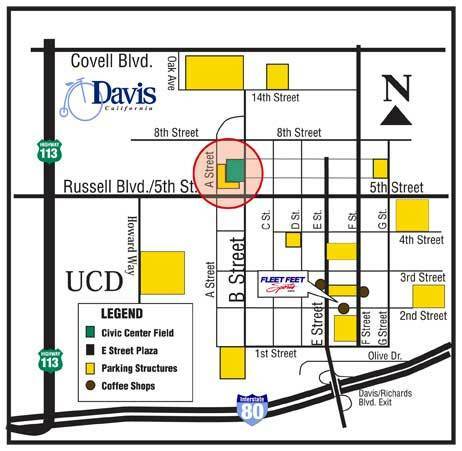 All events start and finish at Civic Center Field in Davis, located on B Street near the intersection of B Street and 6th Street. People of all ages and athletic abilities can participate in the event. Our variety of distances offer an event for every age and ability. 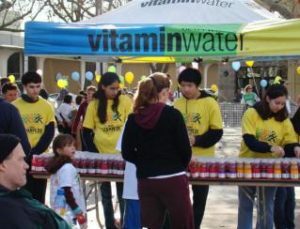 The 5K / 10K / Half and Kids Courses are loop courses that start and finish at Davis’ Civic Center Park. 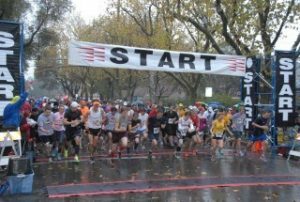 The 5K, 10K & Half start at the corner of 6th and C Streets and finish southbound on B Street just south of 7th Street. They are flat and are 100% paved (asphalt). Approximately half of the 10K travels along North Davis’ greenbelts. The Half also travels through adjacent farmland (paved). 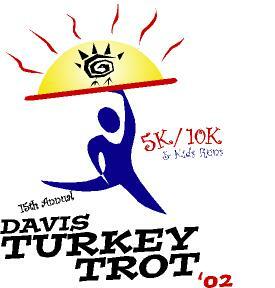 Stay connected with us for race updates by “Liking” the Davis Turkey Trot on Facebook. It is the fastest and easiest way to stay in the loop regarding the event, updates, results, photos, special offers, etc. Link here. Get social: Tag your pictures on instagram and twitter with #davisturkeytrot and you may be featured on our instagram feed! Follow us at @a_change_of_pace on instatgram. Awards will also be presented to the top 3 finishers per age division in the 5K / 10K / Half Marathon events. Overall Winners are determined by Gun Time. Age Divisions for the 5K/10K are: 9 & Under, 10-12, 13-15, 16-19, 20-24, 25-29, 30-34, 35-39, 40-44, 45-49, 50-54, 55-59, 60-64, 65-69, 70-74, 75-79, 80+. Half Marathon Divisions are 15 & Under, 16-19, 20-24, 25-29, 30-34, 35-39, 40-44, 45-49, 50-54, 55-59, 60-64, 65-69, 70+. Age group awards and result placement are based on net (“chip”) time. We also offer a Challenged Athlete division for the 5K/10K/Half for those with a physical disability (such as a prosthetic limb, wheelchair athletes). To be placed in this division or request more information, please email us. An awards pick up tent will be set up on race day. Prizes ARE NOT MAILED, so please check your results on the results computers at the race (or view results on the mobile site using your phone) and pick up age group awards at the event. The Kids Fun Runs are not timed or scored. All finishers in the Kid’s Runs will receive a finisher’s ribbon. To be considered for inclusion in the race results and be eligible for awards, there are three simple rules to follow. One: wear your bib number (timing chips are on the back of it; leave them there) on the front of your body so that is is visible and unobscured by clothing or race belts. Two: run/walk the division for which you are registered and start at the correct starting time (see top of page for start times). Three: Follow the signs on the route and run/walk the correct course, including crossing the timing mats at the start and finish lines. You must start at the correct starting time to be listed in the official results and to be eligible for an award. For example, if registered for and running the 5K, you must start at the 5K start. You may not start with the half marathon or 10K, and be considered eligible for an overall or age group result in the 5K. Know what time your division starts and listen to the announcer at the starting line. You must also be sure to run/walk the race for which you are registered. If you need to change divisions, you can e-mail us through the Wednesday prior to the event to have your division changed and bib reassigned. Participants who do not follow this process can potentially compromise the race results for their fellow athletes so we ask that all entrants be considerate and participate in the race for which they are registered. Participating in a division for which one is not registered will result in a DQ. Unregistered “pacers” are not permitted. That is, a person who is not registered for the race cannot accompany you on the route to assist you in achieving a better race time, regardless of the anticipated pace. All participants on the route must be registered for the event. Each 5K/10K/Half entry includes a long sleeve technical race t-shirt and commemorative bib number. Kids Fun Run entries include a short sleeve cotton shirt. Refreshments are provided to all in our post-race expo area, as well as live music and a huge kids play area. Race Day, at Civic Center Field (Race site) from 6:30 AM onwards. If picking up on race day, we suggest arriving at least 90 minutes early to pick up packet. To avoid race day lines, we strongly encourage pre-race packet pick up. Time limits are as follows: 5K- 1.5 hours, 10K – 2 hours, Half Marathon – 3 hours 30 minutes. If an athlete is on the course and not on pace to finish within the required timeframes, course marshals may offer a ride back to the finish line. Participants can also opt to continue and obey the rules of the road but must note that cones, road closures and aid stations may not be in place. Although we will make every effort to provide one, we cannot guarantee finish times to those finishing beyond the course cut off. While participating in the event, please be mindful of others on the route. At times different divisions may merge courses and faster runners in one event may be passing slower athletes in another event. As such, we remind all athletes to follow basic course and bike path etiquette, which is: run / walk on the right, pass on the left. Do not run or walk more than 2 abreast, as it can create a “wall” and make it hard for those behind you to pass. Do not stop running suddenly in the middle of the path or road; move to the right hand side before stopping. Consider letting other athletes whom you are passing know that you are “on their left” as you approach. Never run backwards into oncoming runners. Of course, have fun while participating. Encourage your fellow athlete. Running and walking is a fun sport and one of the best parts of participating in an event like this is the motivation from others around you! Finisher’s medals are awarded to those in the individual half marathon. The finisher medal is included in the half marathon entry fee. 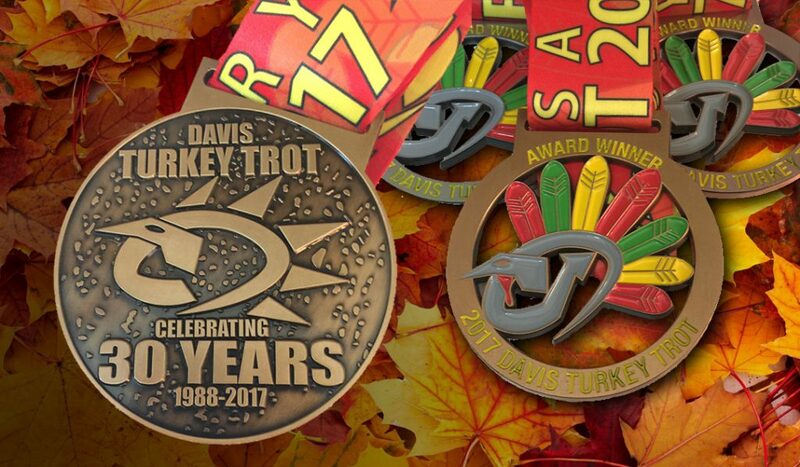 We offer an optional participation medal for those who desire a medal to commemorate their achievement at the 2016 Davis Turkey Trot. There is no finisher medal included in the entry fee for the 5K, 10K or Kids Run (although Kids Fun Run entrants do receive a ribbon), and the optional participant medal is an ideal choice for those entrants who would like a medal. The medal cost is $5 and can be paid upon registering for the event. The first cut off for a guaranteed medal is October 19. After this time, medal sales will continue until all medals have been sold. Order early to ensure a medal. Pre-ordered medals that are not picked up on race day are not mailed. Be sure to pick up your medal at the Participant Medal Pick Up Tent. Note: The optional medal is an entirely different medal from the Half Marathon finisher’s medal. The 2016 Half Marathon, 5K & 10K events will be timed using disposable RFID chip technology. 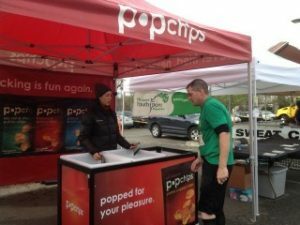 Timing chips will be adhered directly to the back of your race bib. There is nothing to put on your shoe, or return after the race. Timing mats will capture you as you cross the start line and again as you cross the finish line. Live tracking will be available during the event with split times on the half marathon. Use the results page (see tab to right) on event day to access live tracking. After the event, you will be able to check your race results on the available computer kiosks (weather permitting) or on a mobile device. We will have 14 pacers at the event helping you reach that goal finish time and maybe even a PR. 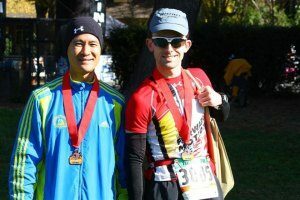 Pacers are from the Golden Valley Harriers, an awesome Davis running club, and we are so thankful for these individuals who are donating their time and running expertise to make your half marathon that much more awesome. Pace groups start at 1:30 goal finish and increase in 5 minute increments up to 2:30, plus 2:45 and 3:00. 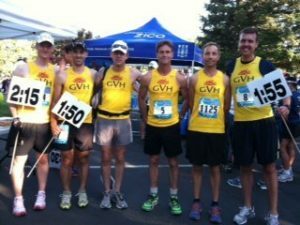 Look for the pace leaders in the signature yellow GVH singlet at the start line or along the course. Over 500 volunteers from the community help make the annual Davis Turkey Trot possible. Individuals and groups interested in volunteering may contact our volunteer coordinator for more info. 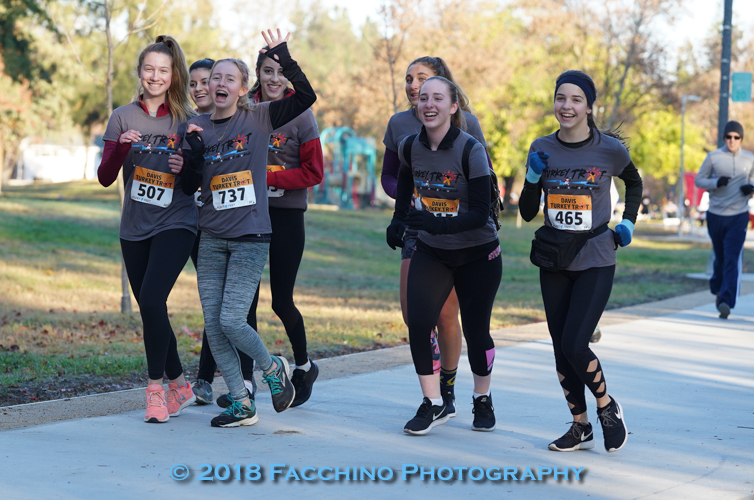 The Davis Turkey Trot will have multiple professional photographers from Facchino Photography along the course as well as at the start & finish to capture your image as you participate in the event. Photos are available to view/purchase. Expect photos to be online approximately one week after the event. We will post the link on our Davis Turkey Trot facebook page when they are live. Bikes, in-line or roller skates, hoola hoops, trikes, scooters and pets (except guide/service dogs) are not permitted. The use of ipods (headphones) etc. are discouraged for your safety (so that you can hear directions from announcers, Police, volunteers, etc). If you opt to listen to music, we suggest listening in one ear only and keeping the volume at a level so that you can hear vehicles, course marshals and runners around you. If you wear headphones and run the wrong way because you could not hear the directions of a course marshal or police officer, we will not have any sympathy. Unregistered walkers, runners or pacers are not permitted on the race course. Strollers and baby joggers are only permitted in the 5K and 10K events and are asked to start towards the back for safety. Wheelchairs are permitted in all distances. Racing wheelchairs should notify start line official so that they may have a 1 or 2 minute lead (depending on course). A gear check will be set up on event day. Translucent plastic bags will be provided for you to place your non-valuable items. Sharpies will be available for you to write your bib number on your bag. Your bib number will be needed to pick your bag back up at the end of the event. We will keep the area secure, however, ask that you do not leave valuables, as we will not be held responsible for lost items. Unclaimed items left at sweat check upon the conclusion of the event will be held for two days and then donated to charity. All entries are non-refundable and non-transferable under any and all circumstances. Event happens rain or shine. We reserve the right to cancel the event if there is an Act of God, threat of terrorism or unforeseen circumstance out of our control which would make it unsafe for athletes, spectators and volunteers to attend the event. Please see the bottom of the registration page for a complete list of race rules. 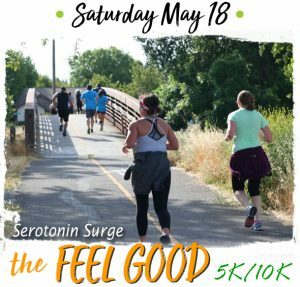 Long sleeve t-shirt, commemorative bib number, chip timing (5K, 10K & Half), finisher’s ribbon (Kid’s Runs only), finisher’s medal (included for Half Marathon) eligibility for awards (5K/10K/Half) and post-race refreshments. Shirt size and availability are guaranteed for all entries received by 11:59 PM on Monday, November 14th. After this date, shirt size/availability is first come first serve upon bib pick up/check in. All entrants submitted November 15th or later should go Will Call (not pre-registration) to pick up bib/shirt. Do not wait until race day to register! Registering at Packet Pick Up avoids race day lines. A processing fee will be applied in addition to all below entry fees. We are offering an optional participation medal for $5.00. Racers in any division may purchase the medal. Pre-race sales of the optional participation medal are available through November 7, 2016. A limited number may be available for purchase after this date. The Participation Medal is a different medal than the Half Marathon finishers medal, so if you are planning on participating in the half marathon, and order this medal, you will receive two (different) medals at the race. See below. No refunds for optional medal purchases. Medals, like t-shirts, will be not be held for no shows. Half Marathon participants will receive a finisher’s medal with their entry fee. To clarify, if you finish the half marathon AND purchase this medal, you’ll receive two (different) medals. 5K/10K Entry does not include a medal. If you’d like a medal, please use this option. The Half Marathon finisher’s medal and the participation medal will be different. Medals which are not picked up on race day will not be mailed. Medal purchases are non refundable. Time and place are TBD. If field limits are reached, the distance will be sold out and no waiting list will be held. Please register early to save a few dollars and ensure yourself a spot. Custom finisher medals will be awarded to all athletes who complete the event on race day within the designated timeframe. Half Marathon finisher medals are not available to those who do not attend the event. There will not be a relay division for the half marathon in 2016. We do not have a virtual division or participation category. Refund/cancellation & Entry Rules: All entries are non-refundable and are not transferable to another event. No refunds under any circumstances. No refunds or application of the of the “difference” towards other purchases or items, if you drop down from Half Marathon to 5K/10K. Transferring Your Entry To A Friend/Family Member: If you wish to transfer your entry to a friend or family member in the case that you become injured or cannot otherwise attend, you may do so on or before 5:00 PM Monday, November 14, 2016. There is no fee to transfer to a friend/family member but your request must be completed online through your runsignup account; or if you are unable to achieve it via the online system, your request must be made in writing via email to info@changeofpace.com by 5PM on Friday, Nov. 11, 2016. Doing so via your runsignup account will send an email to your friend, who may then accept the transfer request and provide their information, shirt size and agree to the liability waiver. No phone, fax or in person requests for entry transfers. The person to whom you are transferring your entry must complete the request on or before Monday, November 14 at Noon. Changing Your Race Division: We will accommodate changes to your race division if they are made in advance of race weekend. That is, if you enter the 10K and wish to switch to the 5K, we can make this adjustment. You can do so within your runsignup account any time prior to 5:00 PM on Monday, November 14, 2016. If you are unable to do so online, please email us by 11/14/16 and we will make the change for you. Participating in the division for which you are not registered: is strictly not allowed. Entrants who run or walk a division for which they are not registered will be disqualified, will not receive a finish time and will be ineligible for awards. To clarify, if a participant is registered for the 10K and completes the 5K instead, they will be disqualified as outlined above. Race Communication: All race communication is done via e-mail so please include an email that you check on your entry. Emails are not sold or traded. 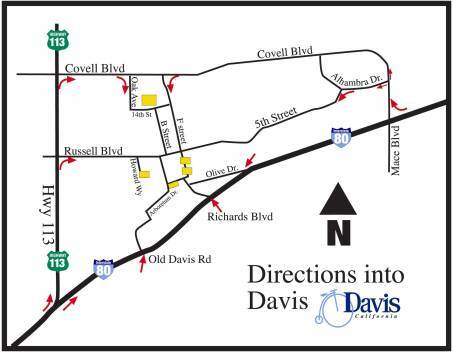 For those wishing to park close to the start, we suggest using the Davis High School/Community Park on 14th Street. It’s just 7 blocks from the finish line, so it’s a gentle warm up. There are several lots here for parking: main high school lot, library lot, North Davis Elem. lot, high school gym lot, high school teachers lot, and Art Center lot (off Covell Blvd.). 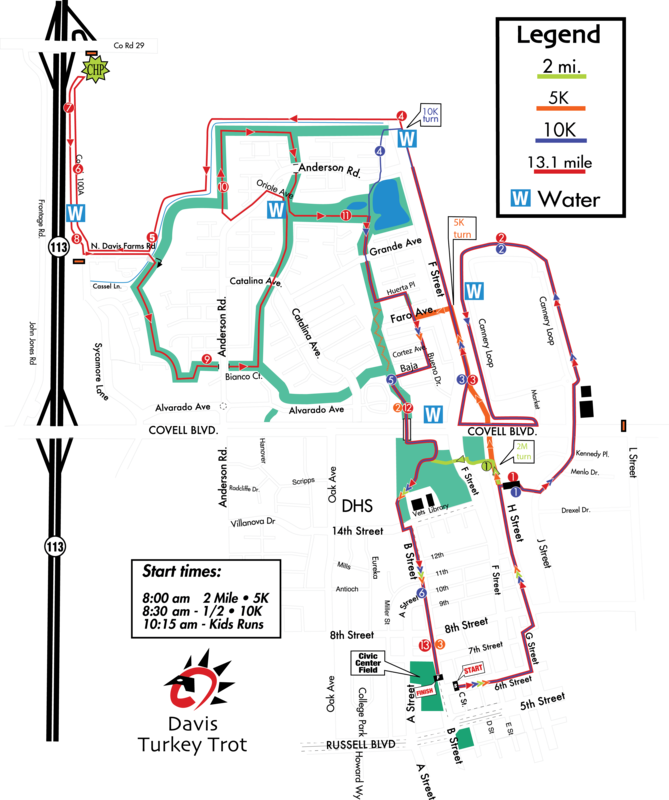 See the course map on our website for a visual.On race day, we suggest arriving at least one hour early prior to your race start, in order to allow sufficient time to use the restrooms, park, warm up, pick up bib if needed, etc. – From Woodland or I-5 North of Woodland: Take Hwy 113, or Road 102, to Davis. Exit at Covell Blvd., and head to the High School for parking. You can turn south on either Oak Ave or F Street to reach 14th. – From the Bay Area on I-80: Take 80 east towards Davis and exit at Hwy. 113 North. Exit at Russell Blvd. and turn right to head towards downtown, or exit Covell Blvd and turn right to head towards the High School parking lot. To get to downtown, you can also use the Old Davis Road exit. – From Sacramento, Elk Grove, Roseville, Folsom: Take I-80 west towards Davis. Exit at Mace Blvd. and turn right. Stay on Mace Blvd. as it does a big 90 degree left hand turn and turns into Covell Blvd. Stay on Covell heading West until F Street and turn left, then right onto 14th Street if parking at the high school. – Many will still use the Richards Blvd. exit to get to Downtown Davis. As this gets very congested. We suggest considering the alternative exists listed above or or listed on the attached maps. All directions provided will guide you to a parking larger parking venue to avoid residential area streets. Please see our website for detailed parking maps and options. There will be NO parking at Martin Luther King HS, the Davis Senior Center on 7th Streets or the City Offices as this parking is reserved for vendors and staff. Option 1: Take I-80 West to Davis. Exit at Richards Blvd. and turn right towards downtown. Richards Blvd. becomes E Street. Continue to desired parking area. Alternate route #1: Exit at Mace Blvd. and turn right. Continue on Mace as the road makes a sweeeping 90* left turn and turns in to Covell Blvd. Continue on Covell Blvd. until reaching F Street / Oak Avenue to park at Davis High School. Turn left on F Street or Oak to reach 14th Street and Davis High School. Alternate route #2: Exit at UC Davis (Mondavi Center exit). (Next exit past Richards Blvd). Head towards the Mondavi Center. After you pass the Mondavi Center, turn right onto Old Davis Road. Continue until A Street and turn left. You can either park at the lot at 1st and A, or you can continue North on A Street until Russell Blvd/5th Street. From here you can head straight on A Street, or turn left onto Russell, and take your next left on Howard Way to the parking structure on campus. Take I-80 East towards Davis. Exit at Hwy. 113 North (towards Woodland). Continue approximately 3/4 mile. Exit at Russell Blvd and turn right. Continue approximately 2 miles to reach the intersection with B Street. Continue to desired parking area. Please note: Due to the large size of this event, we strongly encourage all participants travelling to Davis from the West to use the 113/Russell Blvd. option rather than exiting I-80 at Richards Blvd. Due to traffic concerns, this is the best route to take). Alternative route#1: Follow above directions but exit one exit past Russell Blvd. at Covell Blvd. Turn right on Covell and continue to Oak Avenue. Turn right on Oak Avenue. Davis High School will be on your left. Take I-5 South to Woodland. Exit to Hwy. 113 South to Davis. Continue approximately 20 minutes. In Davis, exit at Russell Blvd. Turn left. Continue approximately 2 miles to reach the intersection with B Street. Continue to desired parking area. Location: The 5K, 10K and Half Marathon all start at the intersection of Sixth and C Streets. This is one block from Civic Center Field. The kids fun runs also start on Sixth Street, halfway between B and C Streets. Self-Seeding: Pace signs will be in place at the start. Line up according to your predicted overall pace. Do not line up at the front if you will not be running a sub 6:00 Mile. Please, parents, do not allow your children to line up near the start of the 5K/10K unless they are running a pace equivalent to a 6:00 mile or faster. We do not want anyone to get knocked down or trampled. Your net time does not start until your timing chip reads at the starting mats. The color of your bib indicates your division and allows you to be directed on the correct course. The timing chips are located on the back of your bib. Wear the bib on the front of your body, unobscured by clothing, race belts, etc. Run or walk the division for which you are registered in order to receive an official time and be eligible for awards. If you need to change divisions, e-mail us by November 14 at 5pm, or make the change when you pick up your bib. Dogs are not permitted, except for service dogs. Pigs, cats and horses are not allowed – and yes these are questions we have been asked before :), believe it or not. We allow athletes to run with a stroller in the 5K and 10K, but you must start in the back. If starting in the back doesn’t work for you, we do not suggest running with a stroller. This is for your safety, your child’s safety and the safety of the other entrants. Walking strollers should start in the back with the walkers. Early starts are not allowed. Likewise, late starts are not allowed. Why? Starting 20 minutes late becomes a problem because the Police and volunteers may no longer be in position to keep you safe and appropriately directed. Start at the correct time: 8:00 AM for the 5K/Half, 8:30 AM for the 10K. No bikes, scooters, roller blades, roller skates, scoot bikes, hula hoops or skateboards are permitted. Use common sense – this is a run/walk, not a parade. Do not bring items which may compromise your safety or the safety of those around you while running/walking with a large number of people. Wheelchairs and strollers are the only “wheels” allowed on the course. Please dispose of all garbage (such as gel packets) at aid stations. Do not run or walk more than two abreast. Run or walk on the right, pass on the left. Remember, there are times at which the routes merge (such as the half marathon with the 10K) and athletes may be approaching you from behind with greater speed than you are traveling. Please be courteous and leave room for them to pass. Click to enlarge or use interactive map below. The 5K and Half Marathon (including Relay) will start together at 8:00 AM at the corner of 6th and C Streets. 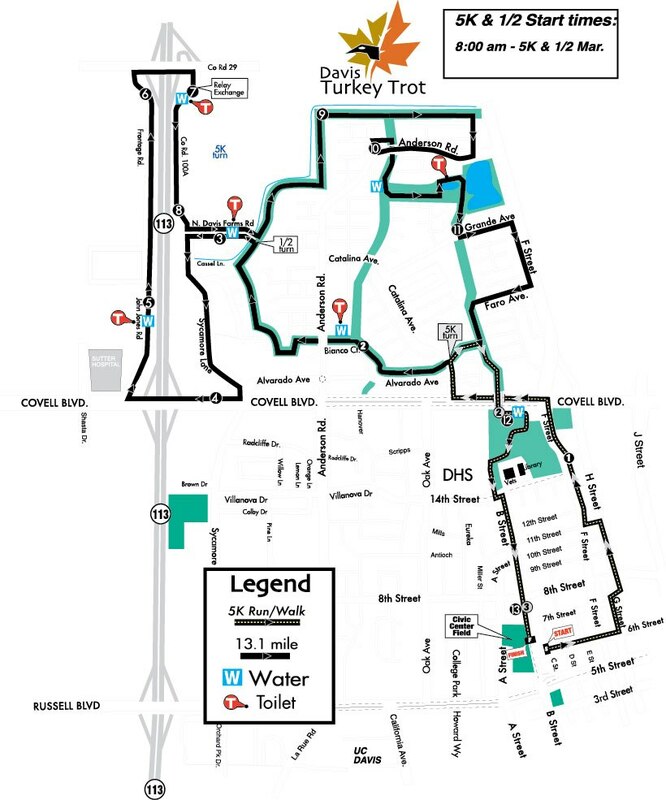 Athletes will head east towards the Davis Co-Op, reminiscent of past turkey trot routes. However, instead of continuing down H Street and under the Covell bridge by the train tracks, a left-hand turn will bring athletes back to F Street and direct them North towards Covell. Athletes turn left and travel west on Covell until Catalina, at which they turn right and head towards the 5K and Half Marathon split. 5K athletes will turn right on to the first greenbelt (at the crosswalk), while Half Marathoners will turn left. This is at approximately mile 1.5. 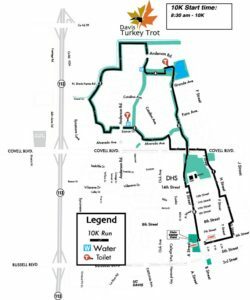 5K entrants travel to the next “fork” in the bike path and turn right at the playground, head back over Covell via the footbridge, through Community Park/Davis High School and down B Street to the finish. There is one water stop on the 5K, located at approximately mile 2, by the Art Center soccer field. Half Marathoners continue along the greenbelt to the wooden bridge that takes them to North Davis Farms Road. Athletes then turn left on to Sycamore and run a loop around the Davis Marketplace shopping center, over Hwy 113, and then past Sutter Davis Hospital on John Jones Road. The halfway point is located in the center of the Road 29 overcrossing over Hwy 113. Athletes continue past the Teichert Construction building and back down Sycamore (Road 100A). A left turn at North Davis Farms Road returns half marathoners to the greenbelt as they then head left around the northern perimeter of the North Davis greenbelt, winding their way back towards the Covell footbridge and the return to the finish line. Athletes will pass a toilet six times on the half course, and seven water stops, which will offer water and Gatorade. The time limit for the Half Marathon is 4 hours. USATF Course Certification for both the 5K and Half Marathon is pending (will be complete by race day). View the 5K/Half map below. 10K course. Click to view full size. 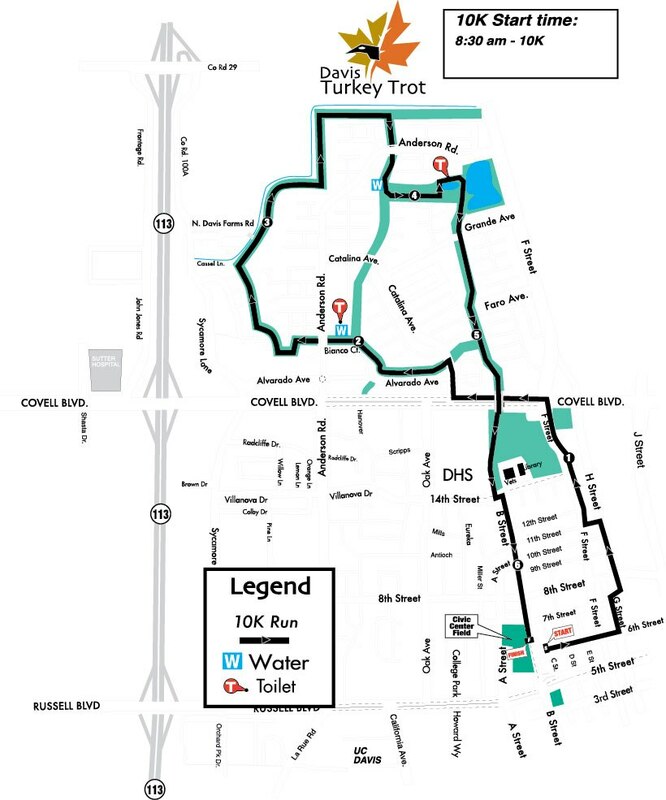 The 10K route starts off identically to the 5K and Half Marathon, traveling east towards the Davis Food Co-Op, then north down F Street, west on Covell, and then right on Catalina. Similar to the half marathon, athletes turn left at the greenbelt crosswalk and head along the greenbelt in a westerly fashion. 10K entrants travel the north Davis greenbelt in a clockwise manner, passing North Davis Ponds and heading south back to Community Park and then the finish line on B Street. There are two water stops and two toilets available along the 10K route. USATF Course Certification is pending (will be complete by race day). View the 10K map below. 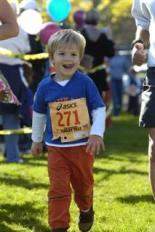 The Kids Fun Runs are designed for ages 0 to 12 years. We start with the longest race first (One Mile), followed by the Half Mile, Quarter Mile and lastly the Toddler Trot 400 yard dash (ages 0-4 only). All kids who run in the fun runs need to be registered for the Turkey Trot and wearing a bib. Kids who previously ran in the 5K and are 12 and under may run in the fun runs without re-registering for the fun run (to run in the 5K, one must be registered for the 5K). One parent may run alongside a child, however, we ask that all parent/child duo’s start in the back. Children may run more than one fun run distance if they desire (we love that enthusiasm). No strollers, please. Course distances are approximate and not certified as the kids fun runs are for fun. No times or places are kept. All kids will receive a ribbon at the finish line. Each route starts on Sixth Street and finishes on Civic Center Field. All the kid’s fun runs start at the Kid’s Run Start Arch on B Street, just south of the 5K/10K finish arch. All four courses finish on the south end of Civic Center Field underneath the arch (pictured to the right). The Kid’s Fun Runs are not timed and no clock is present at the finish line. Every child is viewed as a winner and received an official 2008 Davis Turkey Tot finisher’s ribbon. Before and after the event, we invite all kids to our huge Kids Fun Area, which includes inflatable jumps, arts and crafts, vendor booths, snacks, and more. Your child will be entertained for hours! Q: My child is 10 years old. Do they have to enter a particular distance in the kid’s races? A: No. The kid’s fun runs are open to all kids ages 0-12. The only restriction is on the Toddler Trot, which is for ages 0-4 years. Your child may choose the distance (1/4, 1/2 or 1 mile) that best suits him/her. Q: May I run alongside my child during their run? A: Absolutely! We want this to be a positive experience for both you and your child. 2012: The year it was a torrential downpour, right up until the kids fun runs started. I think the picture to the right sums it up. Mother Nature wanted the 25th Anniversary to be extra memorable, I suppose. This year was also the year the half marathon debuted. 2011: 10K Men: Andrew Timmins won the 10K race this year in 32:53, with Davis runners Mark Pepin, Michael Park and Brian Gruenemay finishing first among Davis residents. 10K Women:The women’s race was won by Kristin Soloway, a Davis resident, in 38:52. Also from Davis, Nancy Rashid was second in 40:26. 5K : It’s 2006 all over again; the winning time is 15:35. This time it’s Matt Peterson of Davis who crosses first. Other top finishers included Ben Deland (16:26), Xavi Morales (16:30), Danny Lu (16:42) and Pedro Flores (16:50). In the women’s race, Caitlin Schultheiss, of Kings Beach, won in 18:53. Sofia Castiglioni, of Davis, was second in 19;03. 5K Baby Jogger: Stroller racers duelled again this year and it was R. Matthew Wise of Davis crossing first in an impressive 17:41, just two seconds shy of the course record. For the women, Robin Soares took home yet another win with a finish of 20:12. 2010: A rainy year; light rain persisted on and off until about 10am. 10K Men: Cisco Kidd brought home another victory with a time of 34:11 – exactly a full minute better than his 2006 10K finish. Brian Gueneman of Davis was the 2nd overall finisher and the first Davis resident with a time of 34:25. 10K Women: Berkeley’s Kimberly Williams posts a time of 40:09 to take the win. The top Davis finisher was Marrie Argentine, with a time of 42:11. 5K Men: Hailing from Guerneville, Jonathan Teeter broke the 16:00 mark with a time of 15:54. Second was Obbie Ehlinger of Davis, in 16:14; Mason Myers was third overall and the first Master’s finisher in 16:20. 5K Women: A Davis resident takes the win! Kristin Arkin finishes first in 18:05. Jillian Brown of Sacramento was the next female finisher at 19:29. 5K Baby Jogger: Robin Soares TIES the Course record with a finish of 20:33 for the win in the Women’s Division; the overall winner was B rian Miller of El Dorado Hills, with a time of 18:33. Top Davis finishers were Nancy Rashid (22:13) and Steven Stoddard (26:12). 2009: 10K Men: Former Davis resident (now of Pilot Hill) Steve Sexton won the 10K in 32:47. It was a close finish with Davis’s Zach Bonner right behind him, at 32:49. 10K Women: Davis’ Stephanie Cello, just 13 years old, won the women’s 10K with a finish time of 39:50. 5K Men:Chris Badalato, of Reno, NV, won the men’s race in 16:10. Jake McHaffie was the top Davis finisher, and third overall, in 16:32. 5K Women: Napa’s Tammy Fraley took home the gold by finishing in 19:10, exactly three minutes after the top male finisher. Alexandra Rieger, just 13 years old, was the top female finisher with a time of 19:42 (4th overall). 5K Baby Jogger: The only course record set in 2009 was by Davis’ Jennifer Jackson, who bettered the previous women’s course record in the Baby Jogger 5K by 12 seconds (20:33). The top male finisher, also from Davis, was Justin Morejohn, in 18:12. Strollers toe the start mats at the beginning of the 2008 Davis Turkey Trot 5K Baby Jogger race. 2008: 10K Men: Davis’ Patrick Parsel broke a six-year old record, finishing in a quick 30:27, over a minute and a half ahead of the second place finisher. In the 10K Women, Megha Doshi of Berkeley was the top finisher, with a time of 38:31. 5K Men: Johnathan Peterson (Davis, CA) sets a n ew course record in the 5K, with a time of 14.37, smashing the old record by 16 seconds. 5K Women:It was a year for records, with a record-breaking performance in the 5K as well. Lorin Scott, also of Davis, was the first female finisher at 16:45, breaking the old record by 25 seconds. 2007: 10K Men: For the second year in a row, a Davis resident claimed the men’s title in the 10K. This year it was William Tarantino, 24, who finished in 33:00. Erich Ackermann from San Ramon finished 2nd in 33:26. 10K Women: Davis residents ran strong today, as Kaitlin Gregg won the women’s title in 37:52, and a longtime Davis resident, Lisa Herrington, placed third overall in 39:26. 5K Men: Jason Sey defended his title successfully this year, winning the 5K in 15:19, sixteen seconds faster than his finish in 2006. He was followed by Kurt Ruegg (16:11) and Jason Carwile (16:15). Finishing fourth by one second (16:16) was Zach Bonner, the top Davis finisher in the Men’s 5K. 5K Women: Audrey Amara of Auburn finished just in front of Claire Kelley of Reno, with finish times of 18:50 and 18:52. Natalia Gaerlan. of Rocklin, finished in a close third with a time of 18:58. The top Davis finisher in the women’s 10K was Maura Tyrrell, in 19:30. 5K Baby Jogger:Auburn’s Robin Soares set the new course record for the women in the Baby Jogger race, by bettering the previous time by 14 seconds (Nancy Rashid, 20:59, 2003). Scott Barnacle of Vacaville won the men’s race in 18:05. The top Davis residents to finish the Baby Jogger race were Ethan Walsh (21:56) and Amanda Walsh (22:03). 2006: 10K Men: Matthew Wise of Davis won the men’s race with a quick 33:34. A minute later, another Davis resident, Steve Sexton, finished in 34:36. Sundance Kid (35:10) and Cisco Kid (35:11) came in 3rd and 4th, respectively. 10K Women: The women’s 10K race was one of the closest ever. First was Yvonne Liebig, of Citrus Heights, in 37:37. Just seconds later, Davis’ Darien Feary finished 2nd (37:40) and Kimberly Beason finished 3rd (37:43). 5K Men: The 5K race was led by Jason Sey, 18, of Vacaville, who finished in 15:35, a pace of 5:00/mile. Behind him was Reno’s Rob Vancleve, in 16:09. The top male from Davis to finish the 5K was Luke Gibson, 24, who finished 3rd in 16:32. 5K Women: Kim Conley of Davis set the women’s course record in the 5K this year with a stunning finish of 17:10. Finishing behind her were Kaylin Pennington (17:44), from Benecia and Kristine Shedd, from Davis (18:24). 5K Baby Jogger: Davis’ Mark Murray wins another title in the Baby Jogger event with a finishing time of 18:25, just barely edging out Dixon’s Greg Ngo, who finished in 18:30. Susan Kelley of Woodland finished first in the women’s division with a time of 23:07. Sharon Lydon of Yuba City took second and Shirley Lewis of Petaluma placed third. 2005: 10K Men: Justin Hurd of Monterey won the men’s race with a time of 32:24. Other top finishers in the men’s race were Cisco Kidd (33:00) and Andrew Boudreau (33:10). The top Davis finisher was C. Gustafson, who finished in 14th place with a time of 35:16. 10K Women: Caroline Radke, of Fairfield, took first with a quick time of 37:13. Davis’ Pam Runquist finished second in 38:29. 5K Men: The 5K Men’s race was extremely close, with Davis’ Orlando Velasquez edging out El Dorado Hills’ John Mann by just two seconds. Their times were 15:46 and 15:48, respectively. 5K Women: Wheatland’s Karen Jeffers took home first with a finish time of 18:17. Second and third went to Katie Ross-Smith (Sutter Creek; 19:33) and Ashley Lapray, 14 years old, from Roseville (19:45). The top Davis finisher in the women’s 5K was Katherine Flanagan, just 13 years old, who finished in 12th place with a time of 21:08. 5K Baby Jogger: Mark Murray won the men’s race again, this time with a time of 18:46. Behind him was Greg Ngo, who crossed the finish line at 19:09. In the women’s race, Davis’ Nancy Rashid finished first in 20:00. Sharon Lydon finished second in 24:29. 2004: 10K Men: Top finishers in the 10K came not only to run fast but to provide us with humorous pseudonyms. Winning the men’s race was Cisco Kidd (32:57), who calls Mountain View home. Following him were Vacaville’s Chad Connor (33:30), and two San Francisco runners: The Sundance Kid (33:56) and Butch Cassidy (34:26). The top Davis finisher, Steve Young (32:57), was just thirty seconds behind Mr. Cassidy. 10K Women: Winning the race was Allison Kerr of Vacaville (36:45). 2nd and 3rd place went to Sarah Shuler (37:16) and Sally Daganzo (38:08). The top Davis finishers were Amanda Kohler (41:24) and Jen Lister (42:02). 5K Men: The 5K course this year was 0.1 miles short due to an unfortunate volunteer marshall oversight in the latter part of the course. Consequently, almost all times were affected. However, we still want to recongnize our winners: In the men’s race, Vacaville’s David Monk reached the finish line in 15:13, followed closely by last year’s winner, Jeffrey Lease of Stockton (15:18). The top Davis finisher in the Men’s 5K was Matthew Post, who finished 10th overall in 16:08. 5K Women: In the women’s race, Melanie Cleland brought home yet another title, winning in 16:12. Emmy Barr (Granite Bay) and Kristine Shedd (Davis) followed in 2nd and 3rd place, respectively, with finish times of 17:24 and 17:52. 5K Baby Jogger: The competition grows stronger each year in the Baby Jogger race. Davis’ Mark Murray smashed the 5K Men’s Baby Jogger record this year by running a fast 17:39. Close behind was Dixon’s Greg Ngo, in 17:43. In the women’s race, Jennifer Miramontes from Davis took home the title with a 21:20 finish. 2003: 10K Men: Top finishers in the 10K came from afar this year; Matt Sartor of Redding won the Men’s 10K in 32:24, following by Rhodes Waldon of Mountain View (32:42) and a third male runner from San Francisco who participated under the name “Sundance Kid” (33:07). Top Davis runners in the Men’s 10K included James Allen (34:47), Justin Morejohn (35:29) and Steve Young (35:44). 10K Women: In the women’s race, Pamela Hayes of Fairfax captured the win in 39:18. Roseville’s Amy Davidson-Shaw took second in 40:26 and Davis’s Courtney Palko came in third in 40:36. Other top female finishers from Davis included Marianne Hernandez (40:53) and Danielle Widenmann (41:19). 5K Men: The 5K race was a quick one, with Stockton’s Jeffrey Lease crossing first in 15:29. Lease was followed closely by Davis’ Bryan Burnley (15:38) and Sean Marzolf of Lodi (15:49). Other top Davis finishers included Ben Jarrett (17:10), Justin Lakin (18:42) and Ken Hiatt (18:44). 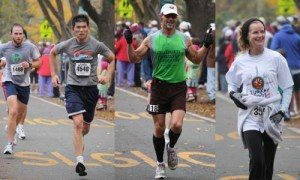 Senior runners in our 75+ division ran amazingly fast and included the following age group winners: Bill Ballantine (79, 29:18), Peter Yuen (75, 29:23) and Spido Webb (78, 34:10). 5K Women: The women’s race saw two young runners battling for first place. Coming across the finish line first was Michelle Born, 16, from Roseville, in 18:17. Abbie Galloway, 19, from Davis finished second in 18:58, and Redding’s Megan Johnson came in third in 19:29. Davis residents Carolyn Menard and Laura Mason finished top amongst the Davis runners in 20:50 and 21:28, respectively. Hats off to our distinguished winners in our 75+ divisions: Jean Risley (79, Davis, 48:09), Marilyn Halliday (75, Yuba City, 59:01) and Carole Johnson (84, Davis, 59:18). 5K Baby Jogger: Two new course records were set this year in the 5K Baby Jogger division. Crossing first was 37 year old M. Woodward in 18:10. Nancy Rashid of Davis finished first among the women in 20:59. 2002: 10K Men: Davis runners take first place in both the Men’s and Women’s 10K Races. Jorge Murillo, 19, wins the Men’s 10K in a stunning 31:47, which averages to a 5:06 pace. Second place is David Nichols of Suisun City, who finishes in 32:09, which the exact same time he finished the 10K in 2002 when he was the overall winner. 10K Women: In a photo finish, 18 year old Erna Forgo clinches the victory in the women’s race with a 39:12 finish. Inches behind Forgo was Diana Perun, 35, of San Francisco, who finished a second later at 39:13. 5K Men: Stockton runners Jeffrey Lease and Marty Jellin go 1-2 in the Men’s 5K, with times of 15:24 and 15:37, respectively. 5K Women: Jennifer Pfiefer, 31, of Folsom, takes home another gold in the women’s 5K with a time of 17:23. 5K Baby Jogger: Mike McGuire of Davis wins again with a 19:09 finish. Also from Davis, Michele Mantay wins the Women’s 5K Baby Jogger race with a time of 21:01. A record 157 people run/walk this year’s 5K Baby Jogger event. 2001: 10K: Davis Nichols of Suisun City wins in 32:09. Justin Rau of Davis places second in 32:49. In the Women’s 10K Race, Jennifer Pfiefer, wins in 38:24; Kazumi Nigro of Shasta Lake places second in 38:37. Megan Canova (38:51) is the top Davis finisher in the 10K. 5K: The 5K run is 1/10 of a mile short, so times reflected are for a 3-mile finish. Taking first place in the Men’s race is Stuart Eastman of Davis (14:55). The women’s race saw Midori Sperando finish first with a time of 16:38. 5K Baby Jogger: Davis’ Mike McGuire wins in 20:54. Linda Casilas, also of Davis, wins the women’s title with a finish of 23:00. 2000: 10K: Miguel Tibaduiza of Reno (33:22) edges out Davis runner Gregg Morin (33:25) for the first place finish. Megan Canova of Davis takes home the victory in the Women’s race with a 37:39 finish. 5K: D. Simm, of Rochester, MN, wins the Men’s 5K in 15:37. Simm also holds the record for the fastest finish at the Davis Stampede 5K, which ironically is also a time of 15:37. The battle for 2nd and 3rd is close, with Stuart Eastman placing second (15:44) and Nate Moroski in third (15:49). In the women’s race, Midori Sperando takes first with a 17:34 finish. 1999: 10K: Ben Turman of Berkeley wins the 10K in 30:56. Jeff Hildebrandt (31:53) and Adam Bessie (33:53) take second and third. In the Women’s 10K, Santa Rosa’s Catherine DuBay finishes first in 36:04. Nearly one minute later, Diane Peterson finishes second in 37:09. Davis runner Mika Jekabsens takes third 37:45. 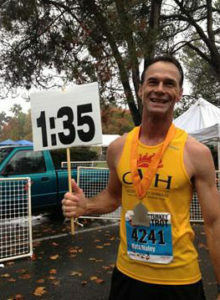 5K: Chris Gaston of Cotati wins in 14:53. In a close finish, second place went to Stuart Eastman (15:17) while third was awarded to Bryce Lighthall (15:21). San Anselmo’s Linda Gill finished first in the Women’s 5K in 17:45. Second place was awarded to Stacy Worthen (17:56). 1998: 10K: Reno’s Nick Bingham finishes first in 31:33. Local runner Jean Harvey of Woodland wins the Women’s 10K in 36:46. Top Davis finishers in the Men’s 10K include: Tim Naylor (34:16), Paul Cox (34:43) and Bryan Thoreson (34:59). For the women, Deborah Tipton (38:49), Andrea Kivsch (41:59) and Melissa Reid (43:12) are the top Davis finishers. 5K: Davis runners Greg Phister (14:56) and Eric Hyde (15:31) finish first and second in the Men’s 5K. 17:39 was the winning time in the Women’s 5K with Melanie Cleland of Oakland taking home top honors. Second place was awarded to Jamie Whitmore of Elk Grove (18:23). Top female Davis runners in the 5K were Pam Runquist (18:57) and Erna Kessel (19:13). Q. Why am I being charged a processing fee when I register? Can I avoid that? A. The processing fee is a charge that is assessed on all entries and covers the cost of using a credit/debit card that is incurred from the credit card companies (Visa, MC, Amex, etc.) that is unavoidable, plus the fees incurred for use of the online registration platform/software. Neither of these services are available to us (or any event director) for fee. This functionality includes, but is not limited to, keeping your data secure, having the ability to self-manage your entry (change divisions, shirt sizes, transfer entries if you cannot attend, etc) and the back-end abilities to send e-mail updates, bib assignments and other registration capabilities that allow us to best and most smoothly manage registration for the event. In the past there have been some years when we incorporated the ‘processing fee’ in to the race registration fee so that it appeared as there was no processing fee; but it is a cost that has always existed and that the athlete has always paid whether directly or indirectly. This year we are using runsignup.com for our online processor. Their processing fees are on a sliding scale. For example, when the transaction total exceeds $50, the fee reduces from $3.00 per entry to 6% of the transaction total. Since many of our entrants register in transactions with more than one entrant, that exceeds $50, it was in the best interest of our participants to not include a $3 processing fee in each posted “entry fee” and instead allow the surcharge to be added on after the fact. That is, if the entry fee we are charging is $34, and the processing fee is $3, the total comes to $37.00. In the past we have simply made the entry fee $37.00, and paid the $3 back out of that charge. For those registering two entrants at $34, the total comes to $68. The processing fee of 6% is applied, which is $4.08. As you can see, by having the processing fee tacked on after, it allows the savings of $1.92 in this scenario. So rather than include the processing fee of $3 in every entry, we went the route of having it be tacked on afterwards in order to save our participants more money. Q. I want to avoid the processing fee, fill out a paper form and pay by cash or check. A. We do not offer paper entries. Like most events these days, all entries are handled online. This allows for cleaner data (no attempting to decipher handwriting, or dealing with incomplete forms). This avoids lost paper forms (such as entries lost in the mail) which is a very common problem faced with mailed or paper in person entries. This allows for immediate knowledge of receipt of entry and no ambiguity as to whether a person’s entry has been received and they are registered. This avoids incomplete entries (such as lack of division, age or gender) that lead to frustrations at registration when entries cannot be located, or problems with results that can affect placement that affect not only the entrant at hand but all other runners/walkers in that division. This avoids bounced checks and check processing which are additional expenses and time. Having all entries accepted online is a far more streamlined process that in the end benefits the athletes by a smoother registration process, bib pick up and results experience – because the chances of anything going “wrong” are far more minimal. We do offer cash and check payment during in person packet pick up / race day entries, but do not offer it for pre-registration. Q. I would like to run the 5K or 10K with my baby jogger. Is this permitted? A. Yes, but, we ask you to start towards the back for safety. Please do not attempt to run either the 5K/10K with a stroller with the anticipation that you will be able to run 10:00/mile pace or faster. Q. 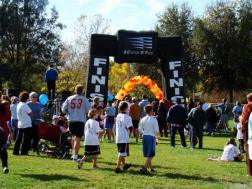 Can kids run / walk the 5K, or do they have to do one of the Kids races (1 mile, 1/2 mile, 1/4 mile, 200yd dash)? A. Kids may participate in any event they and their parent feel is appropriate. We have lots of kids in the 5K and even some in the 10K. There are no age restrictions on the 5K or 10K races. The kids races (1 mile, 1/2 mile, 1/4 mile and Toddler 200 yd dash), however, are only for those who are 12 years or younger. Q. What is the time limit for the half marathon? Do you offer early starts? A. The time limit is three hours and thirty minutes (3:30). We regret that due to road closures we are unable to offer early starts. Q. Do you provide babysitting services while my husband and I participate in the 5K? A. We regret that we cannot provide any child care services at the event due to insurance reasons. Q. My 10 year old son wishes to run in both the 5K and in the Kids 1/2 Mile Fun Run. Which event do I register him for? Do I have to register him for both? A. You need register your son only for the 5K event. He may run the Kids 1/2 Mile with the 5K bib number. Q. Can I run the race with my dog? A. Due to safety and insurance reasons, dogs are strictly prohibited from the course (except for service dogs). Please abide by this rule. Q. My group wants to volunteer at the Turkey Trot. Who should I contact? Q. I registered for the Turkey Trot and now I realize I can’t attend that day because I am sick/have another activity/am going out of town/etc. Can I get a refund? A. We have a no refund, no transfer, no credit policy similar to many running events, concerts and other large events in the area. We do offer you the ability to transfer your entry to a friend if the processes is completed by Monday, November 14, 2016. Log in to your runsignup account (use link in your confirmation email), and follow the steps to do an “event transfer.” You will need the recipient’s email address, first and last name. Q. Are walkers permitted in the 10K? A. Definitely! Walkers are welcome in either the 5K or 10K events. Q. I’m wondering if I’m registered for this event. Do you post a list of registered participants online? A. We will post a list after October 1st. Q. What is the time limit for the Half Marathon? Q. Do you have water stations on the course? A. Yes – we have one on the 5K at approximately the halfway point, and three on the 10K. Five will be on the half marathon. Q. Do you have portable toilets on the course? A. Yes, one on the 10K and several on the half marathon. Q. Does this event offer chip timing? A. Yes, the 5K/10K/Half events will be ‘chip’ timed. Each race bib number will have timing chips affixed to the back of the race bib. The chips are to stay there (nothing to put on your shoe or return at the finish line). This will be read by a mat as they cross the start line and again at the finish line. Q. What is a technical shirt? A. A technical shirt is made of moisture wicking fabric (polyester), rather than cotton. It is designed to pull moisture away from your skin as you sweat. Q. Are there field limits? A. Yes: 1,500 for the Half, 2,500 for each the 5K and 10K, and 800 for the kids runs. Q. Is there a minimum or maximum age to participate? A. For the Half Marathon the minimum age is 14 years old unless specific petition is made to participate. For the 5K/10K there is not, although all participants should be in condition to participate in the event. If you are unsure, seek advice from your doctor. The maximum age for the Kids races is 12 years old. Q. My son wants to do the kids run, but is worried about finishing last and not getting a prize. Suggestions? A. Our kids runs are 100% non-competitive. We do not have a clock at the kids finish line and the first finisher gets the same recognition as the last finisher – an ‘11 finisher’s ribbon. Q. My child is interested in participating in the 1/4 mile fun run. Would it be okay if I run alongside him/her during the race? A. Yes – this is permitted with both the 1/4 mile and 200 yd distances. Due to space and safety, however, we do not encourage parents on the course in the 1 mile or 1/2 mile kid’s run. Parents who intend to run alongside their child in the kids fun run do not need to register (unless they wish to run/walk the 5K/10K). 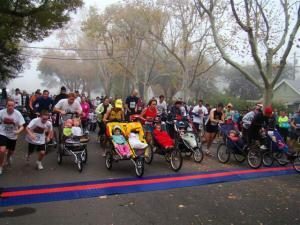 Q: May I push a wheelchair or a stroller in the 5K Run/Walk? A: Absolutely. We do ask that you start at the back of the pack for your safety. A: You bet (unless races are sold out). Cash, credit and check are accepted. Q: Can I wear an ipod/listen to music during the event? A: For safety reasons, ipods & headphones are discouraged. Please see the Event Details page and read over the reasons in the “rules” section. Q: May I have a friend pick up my bib at packet pick up? A: Yes. If you are picking up bibs for people with more than two different last names, we suggest bringing the names on a piece of scratch paper. This makes it easier for the registration volunteers. A: We have a limited number of full and partial scholarships available for kids under age 18. To apply, the parent should submit a letter in writing explaining the hardship and request. It may be submitted via e-mail or via US Mail to: A Change of Pace Foundation, 1260 Lake Blvd. #245, Davis, CA 95616. All requests must be submitted no later than November 10th. Q: Who should I contact regarding having a vendor booth at the event? A: Please contact Jeannine Henderson by e-mail for booth space. A: Yes – the 5K, 10K and Half Marathon are USATF certified. Q: My eight year old wants to run the 5K with me. Do they need to register? Is there a kids price? A: All entrants regardless of age need to be registered to be on the race course, with the exception being children in strollers who are not physically running or walking the route. This is for both insurance purposes as well as fairness to other entrants. We do not have a kids/youth rate for the 5K; all participants (regardless of age) receive the same benefits (tshirt, timing, course closure and water stations, eligibility for awards) therefore, the price for all entrants in the division is the same. Q: Can I run both the 5K and the 10K? Do I pay twice? A: You can do this if you can finish the 5K in under 25 minutes. You pay once. Contact Jeannine Henderson if you would like to do this. Submit your entry for the 5K online. Q: Circumstances beyond my control will make it unable for me to attend. Could you please refund my entry fee? A: All entries are non refundable. We will offer you to transfer to a friend – this must be done online through your runsignup account by November 14. Q: I’m registered for the half marathon but would like to switch to the 5K. Could you please make the adjustment and refund me the difference? A: We would be happy to make these sort of division downgrades, however the difference in entry fee is non refundable and non transferable. You can make the change within your runsignup account. If you need assistance, please email us. Q: I registered for the 10K, but I decided to run the 5K and see that I am listed as DQ in the results. Why? A: You must run/walk the race for which you are registered, and start at the correct starting time, in order to receive a finish time and be eligible for inclusion in results. Failure to do so compromises accurate finish places of your fellow athletes. If you need to switch divisions, we are always happy to make that change in advance of the race. You can email us or make the change in your runsignup account. Q: I’m trying to run a personal best at this event and was wondering if it would be OK if my husband runs with me during the event without registering? A: We’d love to include your husband in the race, but in order to be running or walking on the course, he needs to be registered for the event. Q: I participated in your Tour de FIT. Where do I pick up my stuff? A: You can pick up your “bling” at the Tour de FIT tent at the race. Check our website prior to the Turkey Trot to ensure that our data matches what your participation level was this fall, to avoid any surprises. Remember, to be eligible for any Tour de FIT incentives, you have to register for the Tour. Q: What happened to the stroller division? A: Due to adding the half marathon, combined with past low participation in the stroller race, time constraints and course closure limitations restricted us from keeping that division. We regret any inconvenience and hope you’ll join us for the 5K or 10K race. Still have a question not answered here? E-mail us. 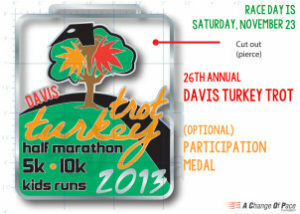 Vendor booth space is available at the Davis Turkey Trot. Expo takes place on grass. 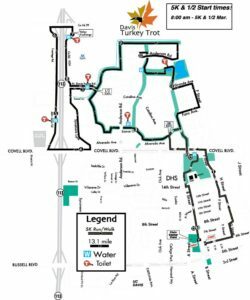 Now that you’re registered for the best turkey trot around, here are a few pieces of information to make your 2016 event day smooth. Notify us of any division changes (or other changes to your entry) by November 14th. If you run or walk a division other than what you are registered for, you may not receive an official time or place and will be ineligible for awards. Arrive at the event 60-90 minutes prior to your race start time to ensure you have sufficient time for parking, warm up, using porta potties, etc. NOTE THAT START TIMES HAVE CHANGED FROM PRIOR YEARS. Your timing chips will be affixed to the back of your race bib. Please do not remove them. Wear your bib on the front of your body on the outermost layer of clothing, unobscured by hydration belts, clothing, etc. Race Results will be available for viewing on computers at the race. Age group awards are available for pick up at the event. Unclaimed awards will not be mailed, so if you think there is a chance you might place in your age division, check before you leave. Those who have ordered optional participation medals may pick them up on the grassy field at the event. Unclaimed, pre-ordered participant medals will not be mailed nor held. NorCal Tour de FIT Series finishers may pick up their medal / shirt at the race. A friend may pick up for you. Unclaimed Tour de FIT prizes will not be mailed. Race Results for 2015 are available below. To search race results, use the Search box on top right of the grid, or the drop-down boxes to select desired division. Overall winners are determined by Gun or Total Time, however, the event is scored and listed in Net Time. (Time from start mats to finish mats). 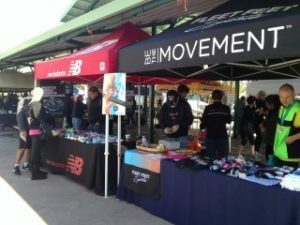 Awards to age division winners (based on net time) are top three men/women per age division, and top three relay teams) may be picked up at the event at Award Pick Up adjacent to the volunteer check in tent. Unclaimed awards will not be mailed. An in person pick up for unclaimed awards will be made available at Fleet Feet in Davis from December 7 through December 13. Congrats to all finishers! 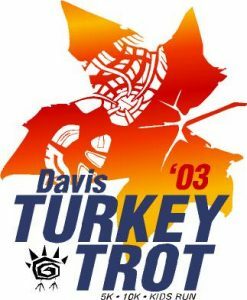 All registration is handled online for the Davis Turkey Trot. Registration will open on Friday, July 13, 2018. Wondering if you already registered? Use the following link to look up your entry. On Race Morning, December 8, at Civic Park (adjacent to the start/finish) starting at 6:30 a.m. If picking up race day, we suggest that you pick up your race packet 60-75 minutes prior to your race start (kids runs excluded). Late Registration will be accepted at both packet pick up and on race day. Cash, check and plastic payment accepted. Shirts are first come, first serve for late entrants. All events start on 6th Street between B and C Streets. The finish line is located on B Street between 6th and 7th Streets. 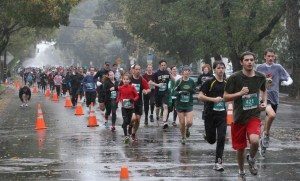 The Davis Turkey Trot offers a unique opportunity for athletes to participate in both the 5K and the 10K on the same day. We call it the “Unofficial 15K.” Are you up for the challenge? Details below on how to participate. 1. REGISTER for the Unofficial 15K – you’ll receive one t-shirt, one bib, one finisher medal, entry to two events, and eligibility for age group awards in both. Cost for the second event is just $2. 2. RUN the 5K at 8:00 a.m.
4. START the 10K race at 8:30 a.m.
6. CELEBRATE how amazing you are! 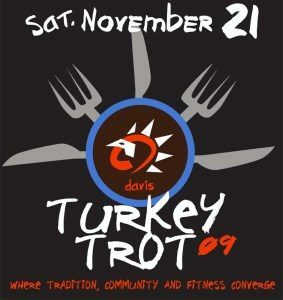 Participating in an event such as the Davis Turkey Trot is a great way to gather coworkers, teammates, fraternity/sorority members, etc., and participate together! For those wishing to take part as a group, we offer the option to sign up as a team. Community teams (with ten or more members) are invited to set up a team hospitality tent in our team area (at no cost to you, bring your own tent/tables). Your team can gather before and after the event and use your booth as a gathering place. You can also leave your warmer layers here (if you have someone who will be there while others are out on the course running or walking). Create a team name when you register online. Remind your teammates to select your team from drop-down box when they register for the event. Show up to the event and have fun! 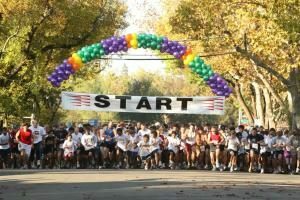 The Davis Turkey Trot’s 2018 event will mark a thirty-one year commitment from A Change of Pace to providing Yolo County with a fun, safe health-oriented event. Our goal is to have a giant party afterwards and we want to invite everyone. To make that affordable for all businesses and community organizations, the exhibitor fee for this year’s event is reduced to just $50 if you pre-register by November 1. We hope you will decide to join us for the festivities. Booth includes a 10’x10’ space only. Canopies, tablecloths, table and chairs are not included. Add rental of one 8’ table and folding chair for $15. TIME: Set-up is from 6:00-7:15 a.m. Clean up begins at Noon. ATTENDANCE: 5,000 athletes and spectators are expected. ELECTRICITY: Electricity is not included in the booth fee. Vendors may bring their own power supply, or we can rent a generator on your behalf for $75 if additional generators are available. Please let us know if advance if your booth requires power. CONFIRMATION: Site maps with vendor booth location and parking passes will be emailed on November 15th. View All Divisional Results on Athlinks at https://www.athlinks.com/event/20287/results/Event/232758/Results. View All Divisional Results on Athlinks at: https://www.athlinks.com/event/20287/results/Event/162143/Results. 5K : It’s 2006 all over again; the winning time is 15:35. This time it’s Matt Peterson of Davis who crosses first. Other top finishers included Ben Deland (16:26), Xavi Morales (16:30), Danny Lu (16:42) and Pedro Flores (16:50). In the women’s race, Caitlin Schultheiss, of Kings Beach, won in 18:53. Sofia Castiglioni, of Davis, was second in 19:03. 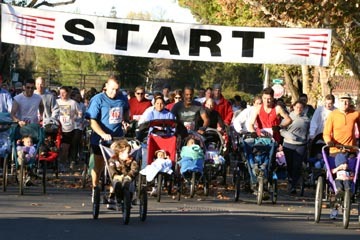 Strollers at the start of the 2005 Davis Turkey Trot Baby Jogger 5K. 2003: 10K Men: Top finishers in the 10K came from afar this year; Matt Sartor of Redding won the Men’s 10K in 32:24, following by Rhodes Waldon of Mountain View (32:42) and a th ird male runner from San Francisco who participated under the name “Sundance Kid” (33:07). Top Davis runners in the Men’s 10K included James Allen (34:47), Justin Morejohn (35:29) and Steve Young (35:44). 2001: 10K: David Nichols of Suisun City wins in 32:09. Justin Rau of Davis places second in 32:49. In the Women’s 10K Race, Jennifer Pfiefer, wins in 38:24; Kazumi Nigro of Shasta Lake places second in 38:37. Megan Canova (38:51) is the top Davis finisher in the 10K.